Nate Lanxon is a journalist, editor, podcaster, media producer, and occasional public speaker. 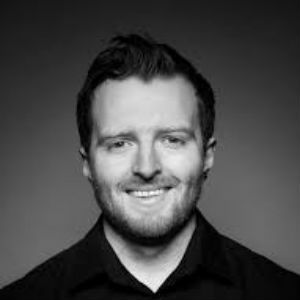 He has spent over 12 years covering the technology industry and written for or spoken on many media outlets, including WIRED, CNET, Ars Technica, BBC television and radio, ITV's This Morning, Bloomberg, and Sky News. Today Nate is technology editor at Bloomberg News, based in the London bureau. Previously Nate held roles including Head of Digital Editorial for Bloomberg.com in EMEA, Editor of WIRED magazine's UK website, Editor-in-Chief of Ars Technica UK, and Senior Editor at CBS-owned CNET.com. Nate is primarily a consumer technology journalist, covering the modern technology industry and its companies, as well as products and people that drive it forwards. He is also Founder, Host & Producer at the Webby Award-nominated Tech’s Message podcast, which succeeded his work launching and hosting WIRED’s long-running UK podcast. Nate is passionate about attracting young people into technology and media industries who do not have traditional educational backgrounds, and is a member of Bloomberg’s Women’s Committee and the Founders4Schools educational programme.